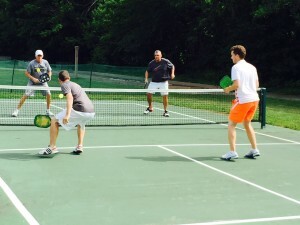 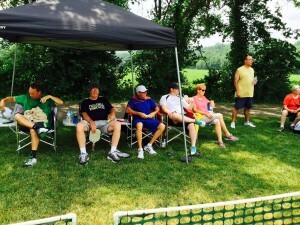 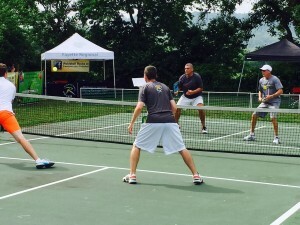 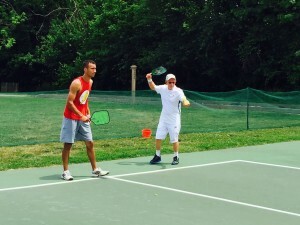 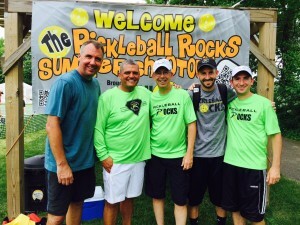 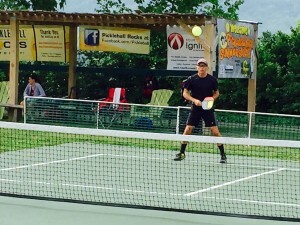 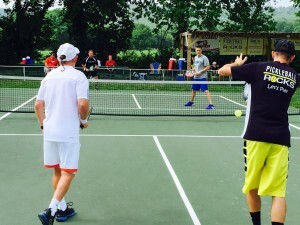 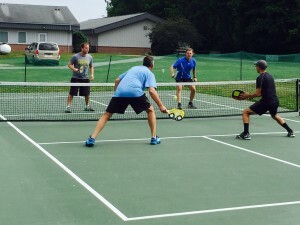 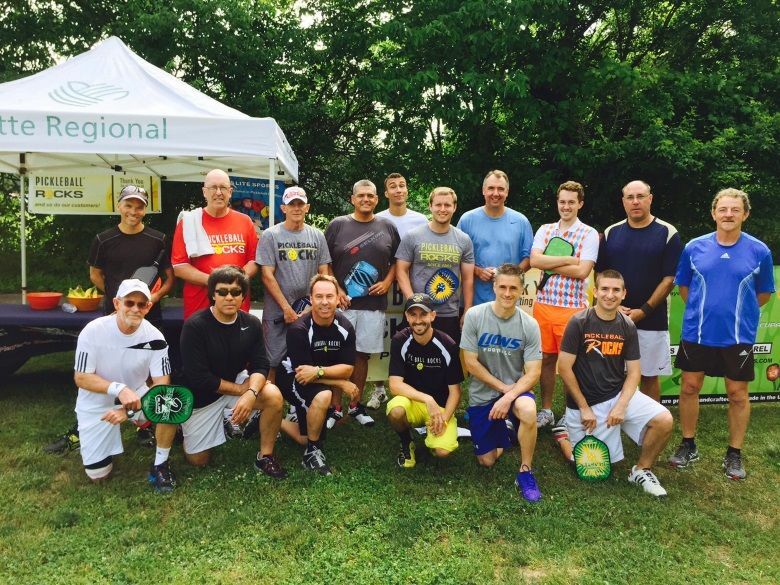 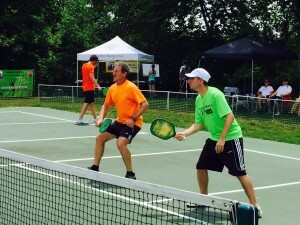 Once again this year, the Pickleball Rocks 5.0 Summer Shootout filled up quickly. 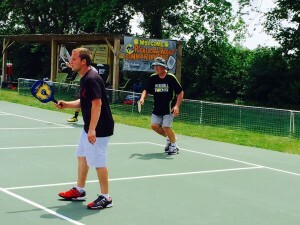 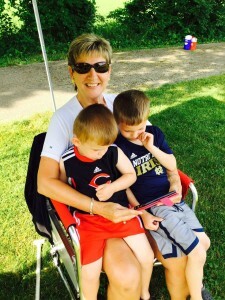 This year’s event was held in Brookville, Indiana June 6 and 7. 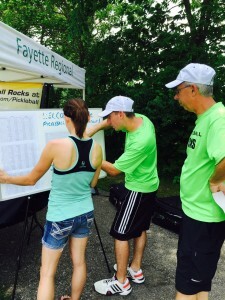 Read on for results and pictures from the event. 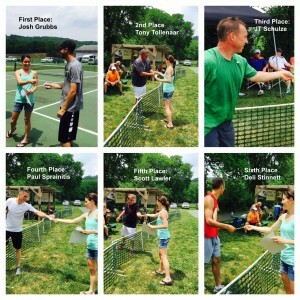 Each guy played 15 matches over the two days, with lots of fun and food in between, including our annual backyard dinner for the players ,where Abby once again put on her annual backyard basketball shooting clinic for those who wanted to challenge her. 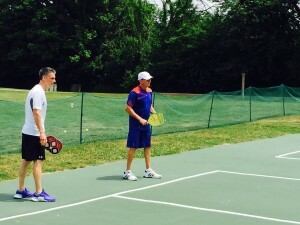 THE RESULTS: Each match was one game to 15 win by 2. 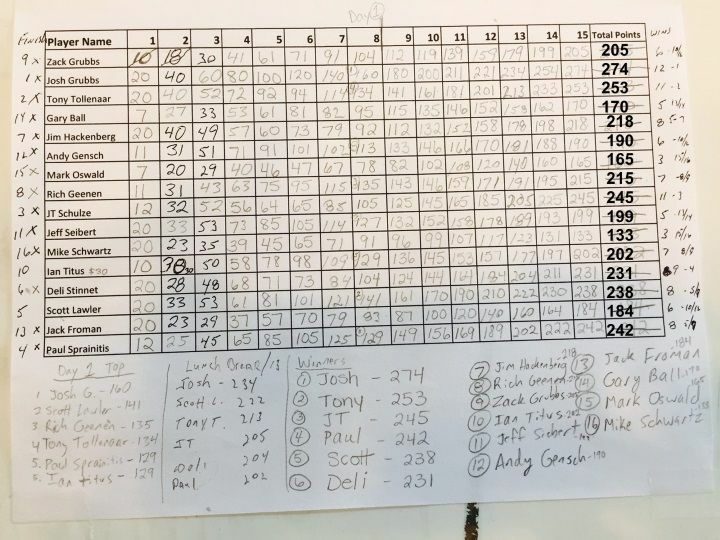 Each win=20 points. 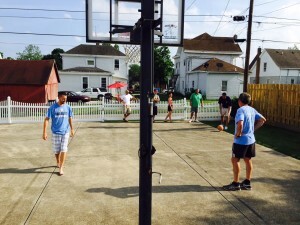 Each loss received your total points, maximum 13. 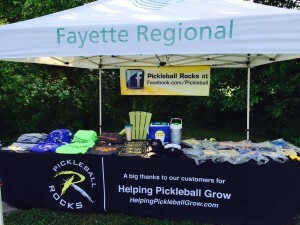 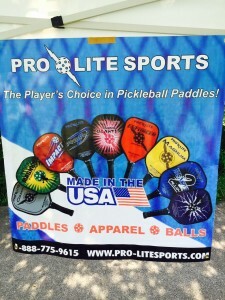 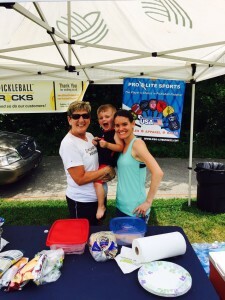 Fayette Regional Health Systems, Cook Rosenberger Funeral Home, Pro-Lite Sports and All About Pickleball, LLC (The Pickleball Rocks Team).